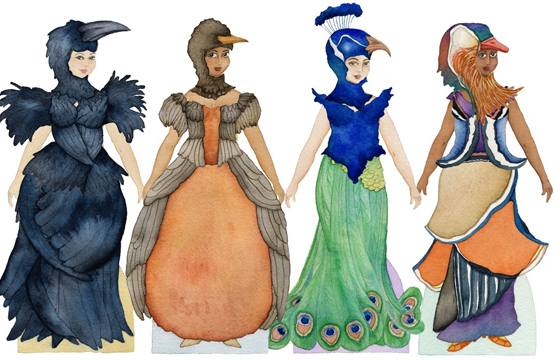 Paper dolls and their costumes provide a look at cultures from around the world. They give us a glimpse at what was worn by men and women through the centuries. Celebrities were turned into paper dolls, as were storybook characters. Its easy to find your favorite subject in paper doll form; from Little Fanny to the Bobbsey Twins and The Flintstones to political cartoons. 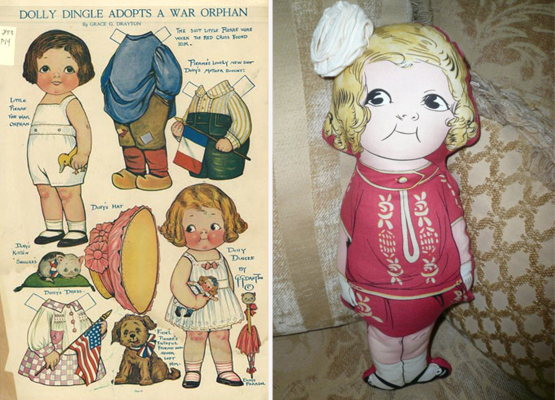 The history of the paper doll is likely unknown by many, so today, we're going to take a trip back in time to unearth the history of what every child was once familiar with! This article presented by the offset flyer printing company, Next Day Flyers. Printing flyers and so much more. 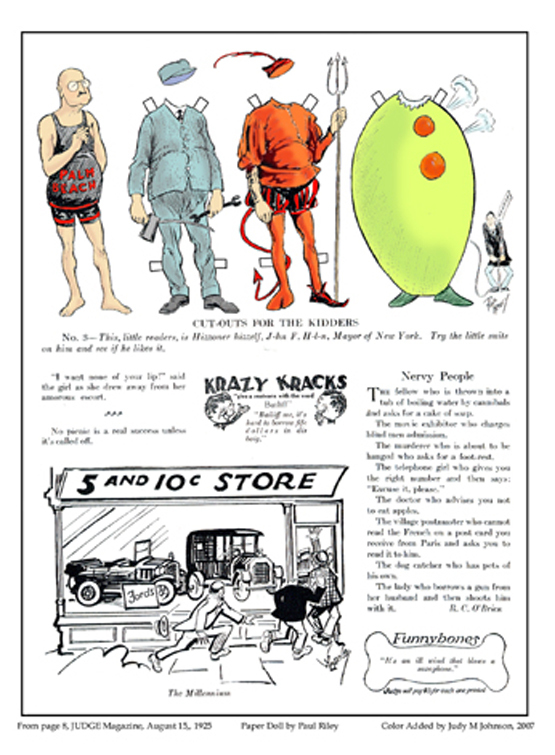 The paper doll was even used in a Political cartoon from August 15th, 1925. The ad, originally in black and white, was restored and colored by Judy M. Johnson of Paper Goodies. 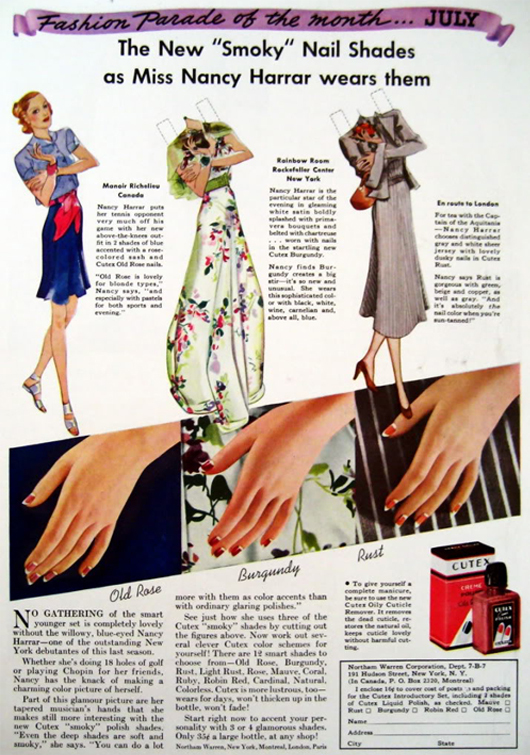 This ad encourages its readers to "see just how she uses three of the Cutex "smoky" shades by cutting out the figures above" and goes on to talk about the 12 "smart shades" that are available for only 35¢. Yes, you read that right, just 35¢ in 1936! 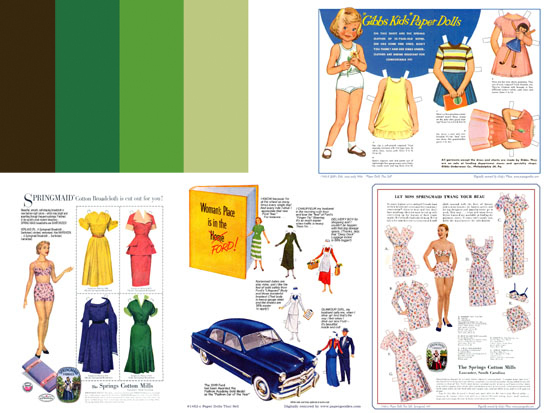 The 1930s through the 1950s can perhaps claim the title "Golden Age of Paper Dolls," as their popularity during those years has never been equaled. Barbie may be credited or condemned for the decline in popularity of paper dolls in the 1960s. Paper-doll versions of Barbie and her sister, Skipper, were strong sellers in the 1970s. 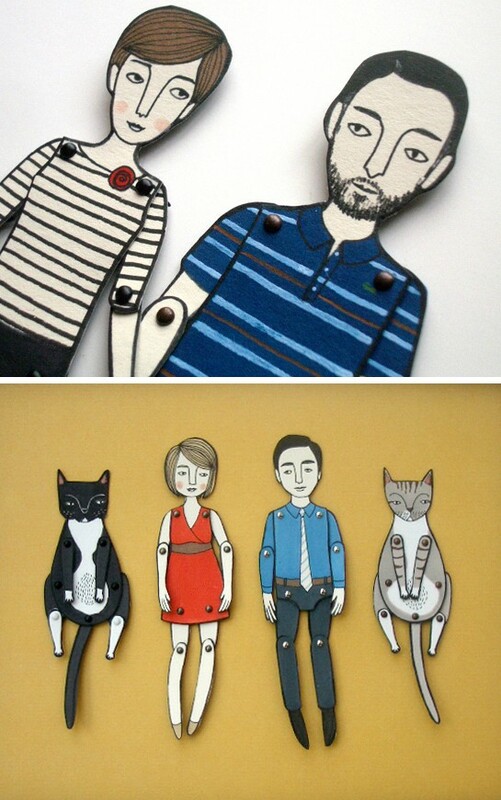 Boyfriend Ken and girlfriend Midge were also made as paper dolls. 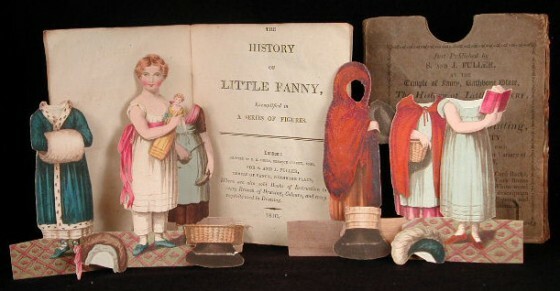 Paper Barbies appeared in books and in boxed sets from 1962 through the 1990s, and have dwindled to nearly nothing in the first years of the 21st Century. 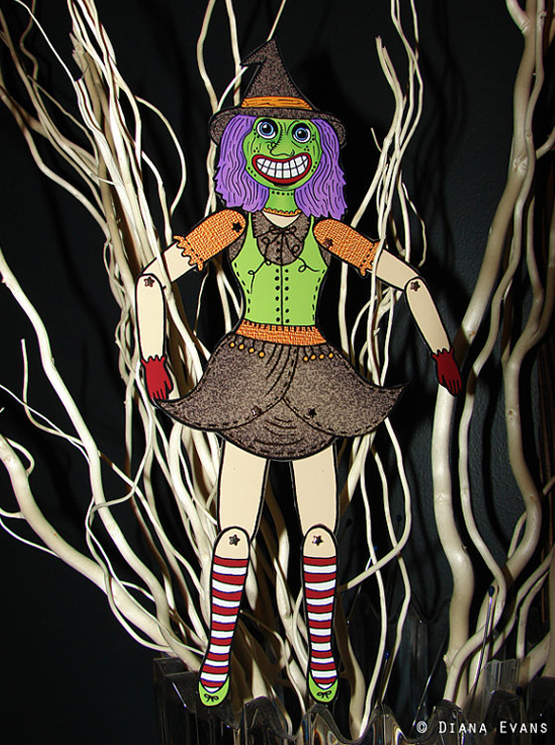 VaVa farmed paper dolls from her childhood. Zevi likes to recreate paper dolls using fabric. This one in particular is Dolly Dingle. A playful portrait of yourself, your pets or your family. You provide the photos and choose the clothes, and they illustrate a quirky stylized moveable likeness of your favorite animal/person. 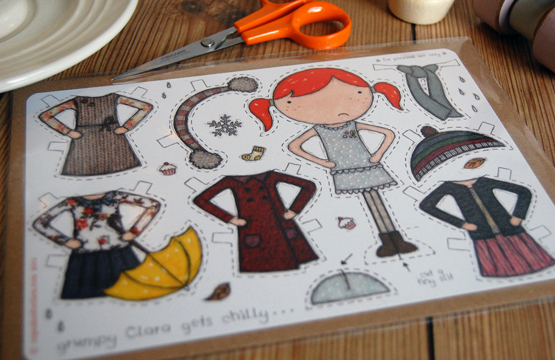 This gorgeous oversized postcard has all you need to dress Miss Clara up in her favourite winter outfits. 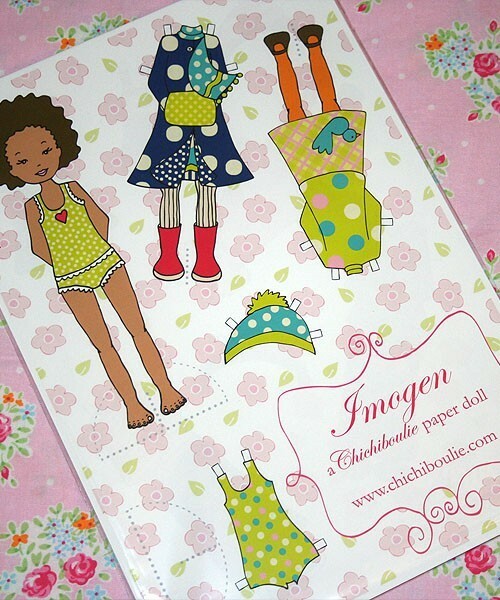 Imogen is approximately 7 inches tall (18cm) and is printed on heavy weight matte card stock. She comes with quite a wardrobe as well! Summer outfits, winter attire, beachwear and sleepwear. 8 outfits in all, plus coordinating accessories. 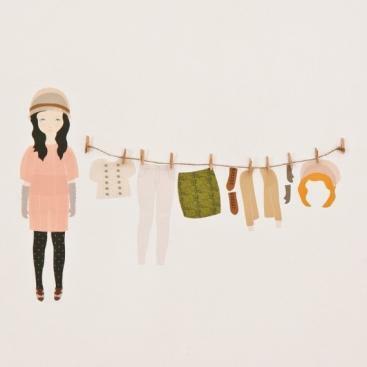 These lovely paper dolls are printed on heavy-duty water-resistant magnetic paper. These magnets preserve the detail of the original watercolors. They will stick to any metal surface: fridge, file cabinet, or anything else in your nest that needs feathering. 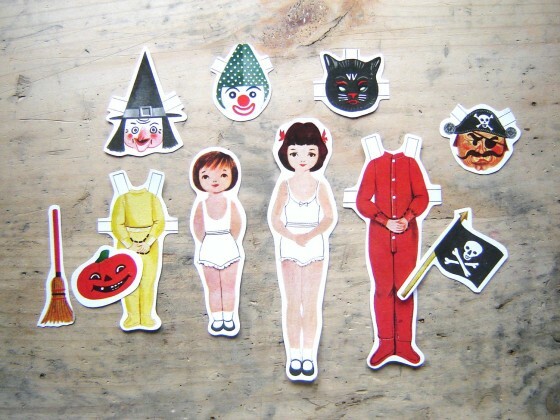 I love these Betsy McCall Halloween paper dolls from 1953. 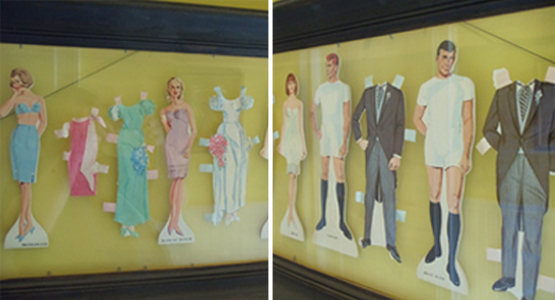 It is possible to unearth paper dolls from the past. Looking in books and through loose pieces of paper is a great way to start. 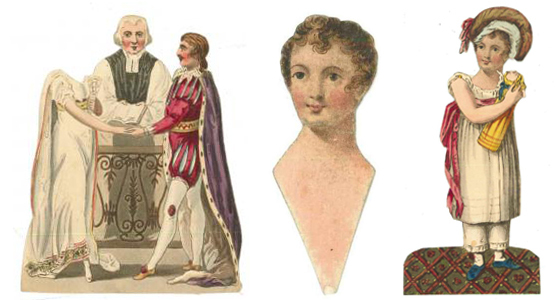 There are paper doll conventions held throughout the year if you're hoping to find antique paper dolls from their early debut. 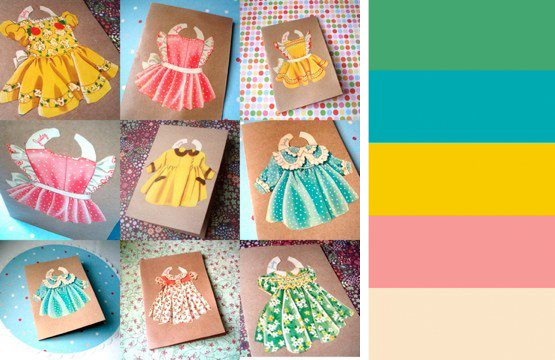 Creating your own paper dolls can be really fun, especially for kids! It allows you to personalize your dolls clothes, hair, facial features etc. The possibilities are endless! where is the banner image from? Those are beautiful!! Thank you so much for sharing them with us! You're welcome. I was so impressed that the girls who make these are so young.